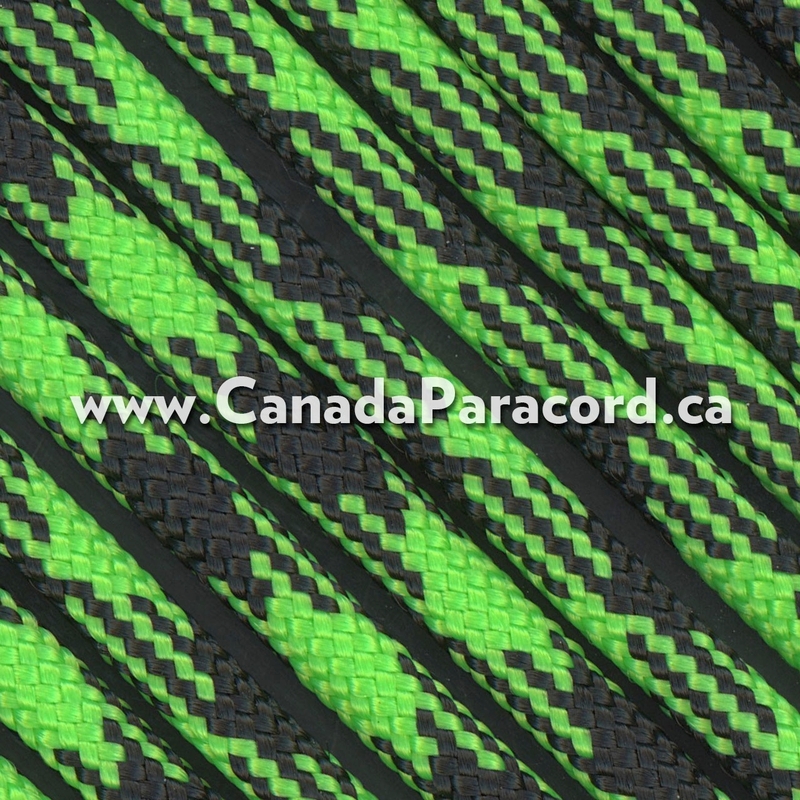 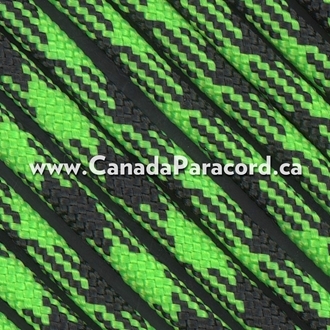 R&W Rope's 50 feet of Viper (Neon Green/Black) 550 paracord is a commercial version of Type III military spec parachute cord. 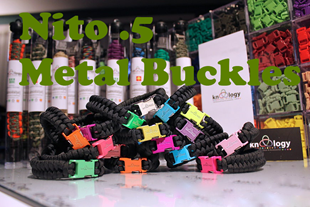 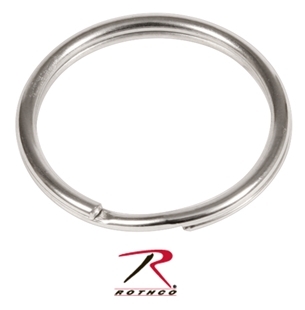 Made in the USA, it contains 7 strands in the core. 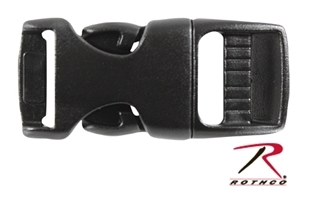 This cord has a tensile strength of 550 lbs.